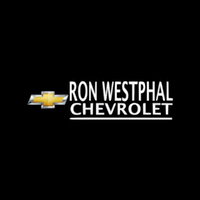 At Ron Westphal Chevrolet, we are excited to know what you think of our services in Aurora, IL. We want to know about your experience at our service department whenever you bring a vehicle to get serviced. Also give us your honest opinion about our finance center regarding our service specials, parts specials, discounts, redeemable coupons as well as our leasing and financing plans that you may have taken advantage of. Our customers are our most valuable assets and we always pay attention to the recommendations and appreciate their ideas that can bring improvement to our services. We would like to know what you think about our various online tools that we have designed to make your life easier. Since you can browse our new as well as used inventory with a couple clicks and you can schedule an appointment with our service center of Ron Westphal Chevrolet in Aurora, IL or book a test drive while filling up a simply form. I felt that Jessee Sanchez and Joe Marozas went all out to give me the best deal for my Equinox. They stayed in contact with me without making me feel pressured or bothered through the whole process. It was a good buying decision. I had a routine maintenance that would take about 4 hours....I was prepared to wait.... but my service manager insisted I take a loaner car......and I actually got all my Easter shopping done for my Grandkids! Rich Graham our salesman went overboard to accommodate our needs. Thank you Rich your the best. Joe was also extremely efficient and made the paperwork seamless. It was the first service visit for our certified pre-owned Malibu. Everything went very smoothly. Best vehicle buying experience ever. My Rep. Mr. Jesse S. was the best. Helped me with every aspect. Fair deal. None of my requests were any problem what so ever. Great after sale service. Excellent price for our new purchase. A no pressure experience They did not try to sell my stuff I did not want. They did a great job quickly diagnosing the problem, getting it fixed, and getting me on my way so my day wouldn't be interrupted.